When it comes to the anticipated benefits of a weighted blanket, you should know that every age group is bound to obtain a positive effect from it, including infants and elderlies. It is a safe and effective way of not just promoting better sleep but also aids in many things like breathing, proper positioning, relieving stress, and many more. Because weighted blankets might hinder an infant from turning over or breathing, it is not advisable to be used on young ones under 1-year-old. For toddlers, it is essential that the weighted blanket that you provide to them will not be heavier than 10% of the child’s body weight plus a pound. For instance, if a two-year-old child weighs 20lbs, a 3-lb blanket is enough for him or her. However, still, it is best that you talk to a therapist first before using a weighted blanket for children. Calming blankets can bring significant benefit to every child. It helps to reduce fidgeting especially if they are at school. Aside from that, weighted blankets also help encourage sleep since it gives them a sense of security and calmness at bedtime. Weighted blankets are likewise beneficial to teenagers especially for those who need sleep like they used to have when they were still a toddler. Since an inadequate amount of sleep can lead to extreme anxiety and depression, deep and peaceful sleep is highly needed. That is what a weighted blanket can provide in this stage of life. Plus, if you are a teenager who frequently suffers from panic attacks, an anxiety blanket can help to prevent it through the calm feeling it produces. College life is the stage wherein anxiety is very rampant. Due to the stressors, they encounter such as making friends and keeping them, achieving perfect grades to land an ideal job, considering a partner that will stay forever and increased body image issues are some factors that create anxiety. Not only that, due to too much studying and hanging out with friends, college students tend to have many sleepless nights. Fortunately, weighted blankets are here to stop all these dilemmas. It helps to make sleeping much more comfortable and deeper. Aside from that, weighted blankets provide a refuge of comfort in the midst of all the stress that comes along with college life. 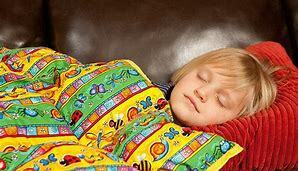 Millions of adult individuals have mild insomnia, and that is the reason why they are the focus of weighted blankets. Since it brings a different calming feeling, sleeping faster, deeper and longer is very easy to achieve. People who have a good night sleep looks fresh and ready for any work for today with a vibrant aura. Sundowning can be the nightmare of every elderly. It typically starts in the afternoon where many elderlies experience high anxiousness. With the help of a weighted blanket, they no longer must worry about it since it helps lessen the feeling of anxiety.